Married Name 26 May 1917 As of 26 May 1917,her married name was Combs. Leah E. Moore was born on 29 September 1892 at Arkansas. She married Lorenzo D. Combs, son of George Wesley Combs and Mary Jane Crotchett, on 26 May 1917 at LaCross, Kansas. 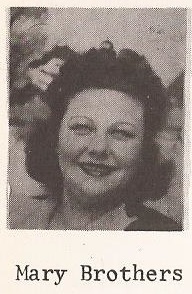 Leah E. Moore died in December 1973 at age 81. Leah E. Moore obtained US Social Security Card at Kansas; last residence Larned, Pawnee, Kansas. [S243] U.S. Federal Census 1920 U.S. Federal Census, by Ancestry.com, ED140. Dwelling 129. Lee Dale Combs was born on 29 June 1922 at Larned, Pawnee, Kansas. He was the son of Lorenzo D. Combs and Leah E. Moore. Lee Dale Combs died on 21 October 1988 at age 66. Lee Dale Combs obtained US Social Security Card at Kansas; last residence Larned, Pawnee, Kansas. Earnest Wesley Watkins was born circa 1897 at Missouri. He was the son of Nannie (?). Earnest Wesley Watkins married Eden Zora Combs, daughter of George Wesley Combs and Mary Jane Crotchett, on 16 November 1919 at Larned, Pawnee, Kansas. [S250] U.S. Federal Census 1930 U.S. Federal Census, by Ancestry.com, ED73-8. Page 6B. Dwelling 158. Ernest Wesley Watkins Jr. was born on 22 December 1920 at Larned, Pawnee, Kansas. He was the son of Earnest Wesley Watkins and Eden Zora Combs. Nelson Nathaniel Skelton was born on 13 January 1893 at Arkansas. He married Mary Ruth Hazel Combs, daughter of George Wesley Combs and Mary Jane Crotchett, on 29 November 1916 at Larned, Pawnee, Kansas. Nelson Nathaniel Skelton died on 17 December 1958 at age 65. [S250] U.S. Federal Census 1930 U.S. Federal Census, by Ancestry.com, ED135. Dwelling 93. [S250] U.S. Federal Census 1930 U.S. Federal Census, by Ancestry.com, ED73-11. Dwelling 55. Married Name 15 November 1945 As of 15 November 1945,her married name was Brothers. Mary Dorothy Skelton was born on 6 November 1918 at Alexander, Kansas, may be 06 Nov 1917. She was the daughter of Nelson Nathaniel Skelton and Mary Ruth Hazel Combs. Mary Dorothy Skelton died in January 1979 at age 60. Mary Dorothy Skelton obtained US Social Security Card at Kansas; last benefit Larned, Pawnee, Kansas. George Alfred Skelton was born on 12 February 1920 at Rozel, Pawnee, Kansas. He was the son of Nelson Nathaniel Skelton and Mary Ruth Hazel Combs. George Alfred Skelton died on 5 November 2002 at age 82. George Alfred Skelton obtained US Social Security Card at Kansas; last residence Great Bend, Barton, Kansas. Neal Norwood Skelton was born on 10 June 1923 at Stafford, Kansas. Neal Norwood Skelton died on 28 April 1998 at age 74. Neal Norwood Skelton obtained US Social Security Card at Kansas; last residence Bartow, Polk, Florida. Nannie (?) was born circa 1878 at Missouri. 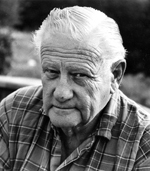 Ralph Watkins was born circa 1902 at Missouri. 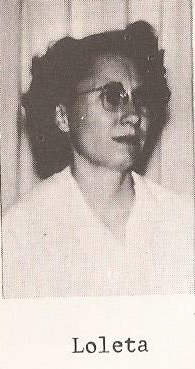 Allie M. Watkins was born circa 1914 at Kansas. She was the daughter of Nannie (?). Sonny Trembly died on 6 October 1944 at Great Bend, Kansas, died at birth. He was born on 6 October 1944 at Great Bend, Kansas. Baby girl Crotchett died circa 1896 died at birth. She was born circa 1896. She was the daughter of Alonzo Crotchett and Missouri Johnsten. George Arthur Allen was born circa 1877 at Indiana. He was the son of Evennus Allen and Mary Macline. George Arthur Allen married Annilee Crotchett, daughter of Alonzo Crotchett and Mary Ella Spencer, on 3 June 1908 at at the home of her grandfather, Thomas Crotchett, near Madison, Greenwood, Kansas, by Rev. W. M. Stanahan. also reported as 03 Jun 1912. George Arthur Allen died on 18 February 1932. He was buried after 18 February 1932 at Graceland Cemetery, Burlington, Coffey, Kansas. George Arthur Allen was a teacher in 1908. [S243] U.S. Federal Census 1920 U.S. Federal Census, by Ancestry.com, ED10. Dwelling 115. [S250] U.S. Federal Census 1930 U.S. Federal Census, by Ancestry.com, ED16-2. Dwelling 226. Married Name 15 August 1932 As of 15 August 1932,her married name was Mott. Ruth Lynden Allen was born on 11 December 1914 at Burlington, Coffey, Kansas. She was the daughter of George Arthur Allen and Annilee Crotchett. Ruth Lynden Allen died on 6 October 2001 at age 86. Kimball Winters Allen was born on 29 September 1919 at Burlington, Coffey, Kansas. He was the son of George Arthur Allen and Annilee Crotchett. Kimball Winters Allen died on 17 September 2011 at age 91 Kimball Allen died in peace at home on September 17, just short of his 92nd birthday. He was born and raised in Burlington, Kansas and loved to tell stories of his childhood there. Kimball was a bright and witty young man, but not especially motivated as a student. He dropped out of school after the 6th grade in the midst of the dust bowl and the depression and ventured west to San Francisco, a city he came to love dearly. He was able to find work as a Western Union messenger, a "gofer" with a gold mining company, and iron worker in the Martinolich ship yard. During WWII he served in the 5th Army Marine Ship Repair Company and spent most is his time during the war in New Guinea and as part of the occupying force in Japan. Returning from the war, Kimball and a partner purchased a 105 foot surplus boat, named it the Allen-Cody and started a shark fishing enterprise for the Vitamin A content of the liver which was in demand at that time. Kimball was a problem solver, a creative genius and an inventor. He developed the first coin operated laundry mat. It was such a novel concept that he had to hire an attendant with a white uniform just to explain the concept and the use of the equipment. He soon had a small chain of laundry mats in San Francisco. He never stopped inventing and later he developed and patented a coin operated shoe shine machine which he manufactured himself. In the late 60's, Kimball became interested in the natural food business, and he opened the Stanyan Street Natural Food Store. This became the first of a small chain of stores still well known as "The Real Food Company", which he and his wife Jane, owned and operated until 2003. Kimball and Jane also opened the Noe Valley Bar and Grill in the mid 70's which was known both for its food and the carved redwood decor that Kimball designed and did much of the crafting himself. They followed with another restaurant in 1980 called Kimball's which was next to the Opera House on Grove Street. Besides serving the patrons and staff of the arts, the restaurant became famous as a jazz club. They also opened Caf? Allegro next door to the restaurant. In 1989 he and Jane opened Kimball's East in Emeryville where many of the great names in jazz played, including Herbie Hancock, Wynton Marsalis and Dizzy Gillespie among others. In his 80's he opened Kimball's Carnival night club with an adjacent pool hall and sports bar in Jack London Square. Into his 90's ,Kimball continued to develop new ideas. Kimball always followed his curiosity wherever it led him. He remained brilliant and focused on his latest project up to the time of his passing. Kimball is survived by his beloved wife of 35 years, Jane Annan Allen, sister Jeanice Pokorny, daughter Annilee Allen, devoted grandsons; Donald Shannon, Patrick Shannon, and Cheyenne Woods and their spouses, Alisa, Katie and Kim, and great grandchildren, Makayla, Hunter, Colton, and Shana. He was preceded in death by his daughter, Kim Allen and his sister, Ruth. Name Variation Judge William Alva Starliper was also known as Alva William. Judge William Alva Starliper was born in 1876 at Kansas. He married Annilee Crotchett, daughter of Alonzo Crotchett and Mary Ella Spencer, on 14 May 1939 at Burlington, Kansas. Judge William Alva Starliper died in 1965. [S373] U.S. Federal Census 1940 U.S. Federal Census, by Ancestry.com, Year: 1940; Census Place: Burlington, Coffey, Kansas; Roll: T627_1225; Page: 20B; Enumeration District: 16-2. Kim Wendy Allen was born on 22 September 1952 at Oakland, California. She was the daughter of Kimball Winters Allen. Kim Wendy Allen died before 2011. Dr. Alex Daniel Pokorny was born on 18 October 1918 at Texas. He died on 9 October 2007 at age 88. Herman Marion Abrams was born circa 1888 at Georgia. He married Mabelle Edith Crotchett, daughter of Alonzo Crotchett and Mary Ella Spencer, on 12 April 1911 at Panama while Mabelle was a Government nurse. Herman Marion Abrams died on 15 October 1937. Herman Marion Abrams was a wireless operator in April 1910. He migrated on 20 April 1911 at New Orleans, Louisiana, Name: Mabelle E Abrams Arrival Date: 20 Apr 1911 Age: 23 Gender: Female Port of Departure: Colon, Panama Ship Name: Cartago Port of Arrival: New Orleans, Louisiana Birthplace: Missouri,Joplin. [S243] U.S. Federal Census 1920 U.S. Federal Census, by Ancestry.com, ED50. Dwelling 20-28. George A. Cornwall was born circa 1868 at Scotland. He married Mabelle Edith Crotchett, daughter of Alonzo Crotchett and Mary Ella Spencer, on 23 May 1940. George A. Cornwall died in January 1949. [S373] U.S. Federal Census 1940 U.S. Federal Census, by Ancestry.com, Year: 1940; Census Place: Berkeley, Alameda, California; Roll: m-t0627-00190; Page: 61B; Enumeration District: 1-158. Married Name 4 August 1917 As of 4 August 1917,her married name was Crotchett. Addie Thomas married Harry Crochett, son of Alonzo Crotchett and Missouri Johnsten, on 4 August 1917 at Little Rock, Arkansas. Name Variation Irene Crochett was also known as Maida Irene. Name Variation Irene Crochett was also known as Crotchett. Irene Crochett was born on 10 March 1919 at Argenta (now North Little Rock), Pulaski, Arkansas. She was the daughter of Harry Crochett and Addie Thomas. Irene Crochett died on 8 August 1919 also reported as 15 Aug 1919. Name Variation Reverand George Elliott Jones was also known as G. E.
Reverand George Elliott Jones was born circa 1890 at Arkansas. He married Loleta Faye Crotchett, daughter of Alonzo Crotchett and Missouri Johnsten, on 12 June 1919 at Argenta (now North Little Rock), Pulaski, Arkansas. [S250] U.S. Federal Census 1930 U.S. Federal Census, by Ancestry.com, ED23-13. Dwelling 88. Married Name 11 June 1939 As of 11 June 1939,her married name was Farish. Loleta Faye Jones was born on 17 June 1920 at Argenta (now North Little Rock), Pulaski, Arkansas. She was the daughter of Reverand George Elliott Jones and Loleta Faye Crotchett. Loleta Faye Jones married James Norton Farish on 11 June 1939 at at the home of her father, Morrilton, Arkansas. Name Variation George Elliott Emerson Jones was also known as Emerson. 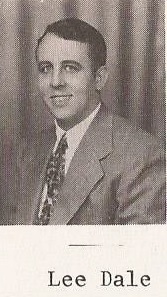 George Elliott Emerson Jones was born on 15 June 1921 at Pearson, Cleburne, Arkansas. He was the son of Reverand George Elliott Jones and Loleta Faye Crotchett. 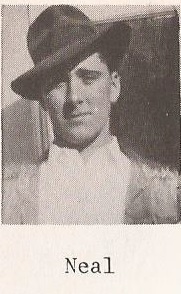 George Elliott Emerson Jones died on 14 June 1944 at killed in action in the European Invasion at age 22. George Elliott Emerson Jones began military service in February 1942 at U.S. Air Force. Alonzo Allen Jones was born on 7 December 1922 at Plumerville, Conway, Arkansas. Alonzo Allen Jones died on 19 December 1925 at age 3. Married Name 19 August 1945 As of 19 August 1945,her married name was Poteete. Alice Marie Jones was born on 16 August 1925 at Plumerville, Conway, Arkansas. Alice Marie Jones married Reverand Raymond Poley Poteete on 19 August 1945 at at the home of her father, Morrilton, Arkansas. Alice Marie Jones died on 27 February 2013 at age 87 Alice Marie Jones Poteete, 87 died Wednesday in Walnut Ridge. She was born August 16, 1925 in Plummerville, Arkansas to Rev. G.E. and Faye Crotchett Jones and had lived most of her life in Lawrence County. She was a graduate of DeSoto, Missouri High School in 1944 and married Gunnersmate 3rd class Raymond Poley Poteete in Morrilton on August 19, 1945. She graduated from Arkansas State University LPN School in 1964 and with an ASN degree in 1974. She moved from Jonesboro in 1966 and retired from Lawrence Memorial Hospital in 1987. She was an organist and member of Fellowship Baptist Church in Walnut Ridge. She was preceded in death by her husband, Rev. Raymond P. Poteete (1987); her parents; Rev. G.E. and Faye Jones; son, Raymond Lloyd Poteete; daughters, Karen Cravens Barker and Alice R. Findlay; step-great granddaughter, Macy Moyers; son-in-law, Frankie Cravens; brother-in-laws, J.N. Farish and Ruben Whitley; two brothers and one sister. Survivors include sisters, Loleta Farish of Bella Vista, Mary Whitley of Jonesboro; daughter-in-law, Jana Poteete of Hoxie; son-in-laws, David Findlay of Baytown, TX and Michael Barker of Bay; grandchildren, Melinda Kauffman of Conroe, TX, Chad Harvey of Bay Town, TX, Tyna Bennett of Bono, Thomas Poteete of Fanning Springs, FL and Jennifer Poteete of Hoxie; great grandchildren, Marcus and Amanda Marroquin of Conroe, TX and Brayden and Jaelyn Bennett of Bono; several step-grandchildren, step great-grandchildren and many nieces and nephews. Graveside Services will be Sunday at 1:00 p.m. at Elmwood Cemetery in Morrilton, Arkansas with Joel McMasters officiating under the direction of House-Gregg Funeral Home of Walnut Ridge. Visitation will be Saturday from 5:30 – 8:00 p.m. at House-Gregg Funeral Home of Walnut Ridge. Pallbearers: Thomas Poteete, Mike Barker, Nathan Bennett, Jacob Mondy, Marcus Marroquin and Chad Harvey. Betty Ann Jones was born on 14 January 1930 at Wooster, Faulkner, Arkansas. Betty Ann Jones died on 12 January 1936 at age 5. Name Variation James Norton Farish was also known as J. N.
James Norton Farish married Loleta Faye Jones, daughter of Reverand George Elliott Jones and Loleta Faye Crotchett, on 11 June 1939 at at the home of her father, Morrilton, Arkansas. James Norton Farish died before 2013.